On the fourth day of our trip to Bhuj, we decided to rediscover the sanctity of Gujarat in the most blissful manner. We got up early in the morning and planned for a trip to the Shree Swaminarayan temple which located in the midst of the town. Visiting ancient and historic places have always been my weakness. I always want to capture stills of precious and ‘not-to-be-forgotten’ moments in my lenses. Therefore I carried my camera and went ahead to gift myself a day filled with peaceful insouciance at the Swaminarayan temple. 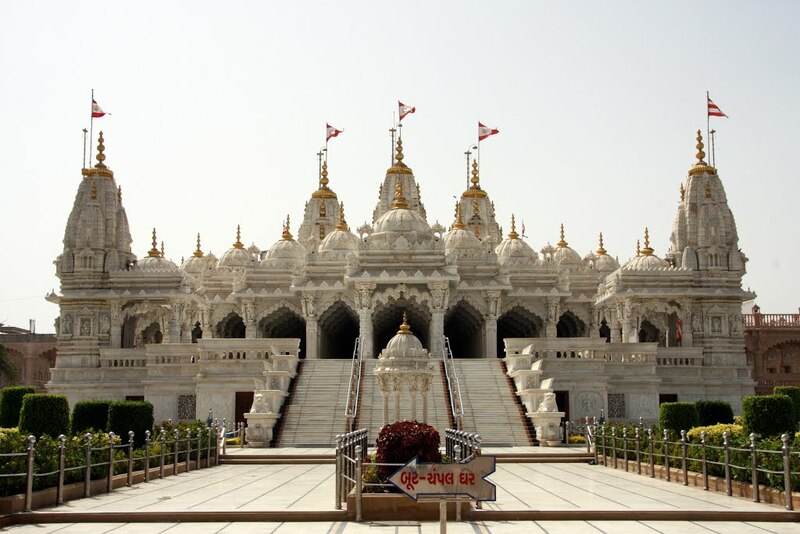 The Shree Swaminarayan temple is a Hindu pilgrimage which depicts the prowess of Lord Swaminarayan. The essence of the temple lies in the beliefs which speak about the way one should lead life. Hindu devotees find this place no less than a sanctum sanctorum as the temple remains occupied throughout the year with thousands of devotees. 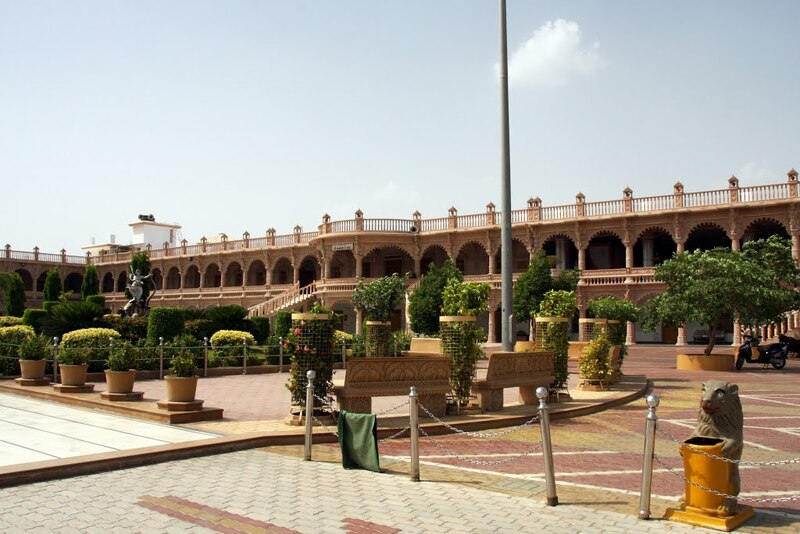 The temple was established in the year 1824 by Bhagwan Swaminarayan in Bhuj. It is said that Vaishnavan and Swaminarayan went to Bhuj in the year 1922 and started building the temple and accomplished the entire building work in just one year. The temple stood still until it was crumbled down partially upon the effect of Bhuj massive earthquake in the year 2001. The earthquake wrecked havoc on the structure of the temple; however it was again redesigned and reconstructed with only gold and marble in the year 2010. The new temple campus is now maintained within a massive land area covering 20,000 square meters. Earlier the images of Swami Narayan and Nar Narayn were kept in the temple for worship which is now shifted to the newly made chambers of the deities in the form of Lord Krishna. 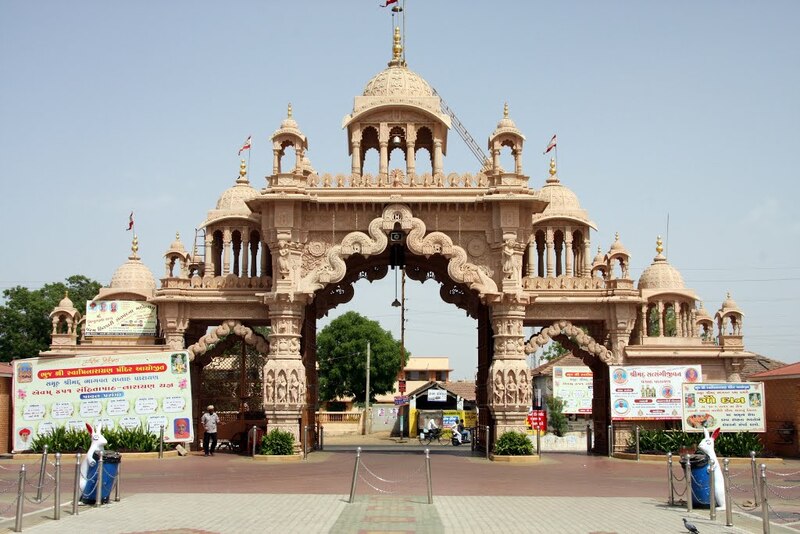 The Shree Swami Narayan temple is one of the landmarks of Bhuj. The entire temple of Lord Krishna is illuminated with shimmering lights and the hymns and chants surround the evening making the environment quite adorable. One can definitely enjoy some quality time with family and loved ones as we four did. The graceful temple brought smiles on our faces as we stayed within the temple compound till evening. 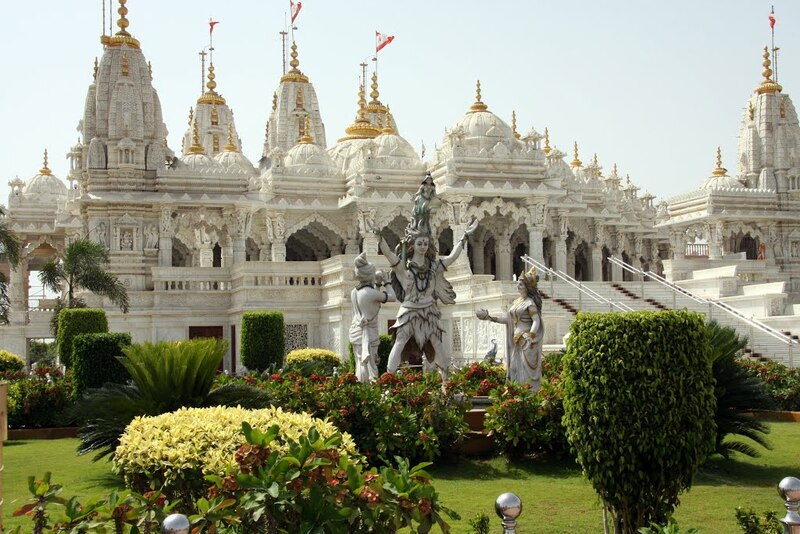 This entry was posted in Attraction, Temple, Travel and tagged shree swaminarayan temple bhuj. Bookmark the permalink.